C was introduced the the wonders of the rubber stamp today! 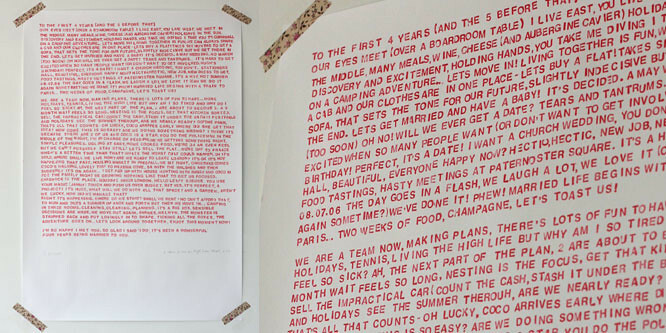 For our fourth wedding anniversary I wrote H a love letter (in the loosest sense). I was inspired by a wedding poem that I saw on 'not on the high street', but instead of just writing the letter I actually hand printed each of the 1955 characters individually by hand... it was a labour of love, and one that I enjoyed... sometimes a monotonous task can be quite therapeutic. 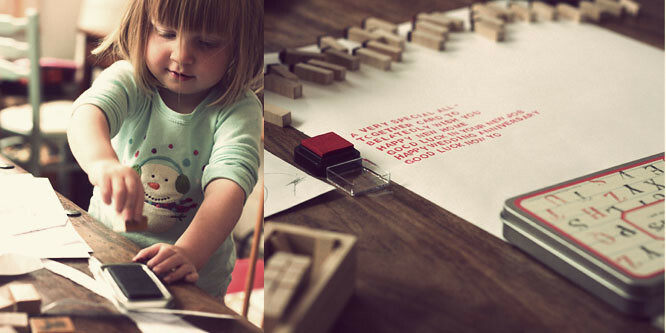 Today I was making some friends a card in the same style and C really wanted to get involved, so I gave her a box of animal rubber stamps that had previously been packed away for when she is older (I'm a sucker for premature present buying). So we had a happy half hour stamping away... group therapy for toddler and me.